After activation, it will be possible to add a new plant. As many as you need. No limitations. 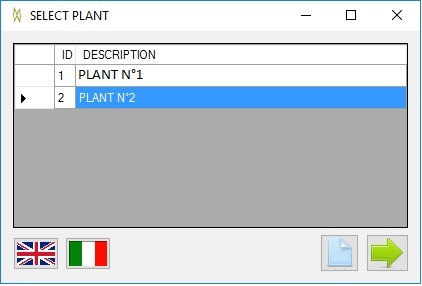 Press the blank page icon to add a new one and press the right arrow icon to open selected plant.